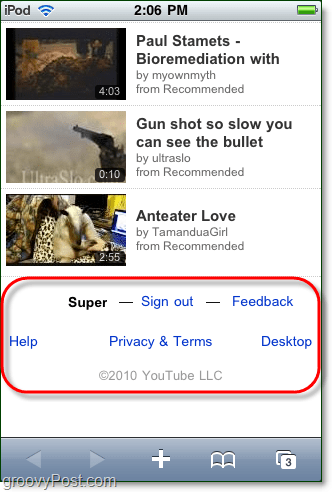 Recently Google updated YouTube mobile to be an “all HTML5” site. I must say, the update is groovy. 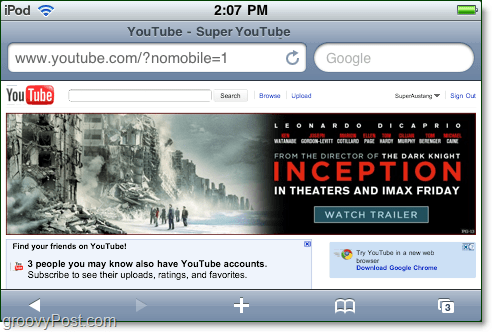 The new YouTube mobile is sleek, fast, and includes many of the features that native YouTube applications were lacking. In fact, let’s just get rid of the native YouTube app all-together. 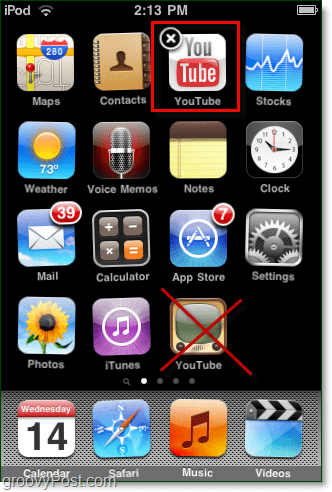 Previously most phone users out there had to rely on a native or downloaded YouTube application to get their flash-based videos to play properly. 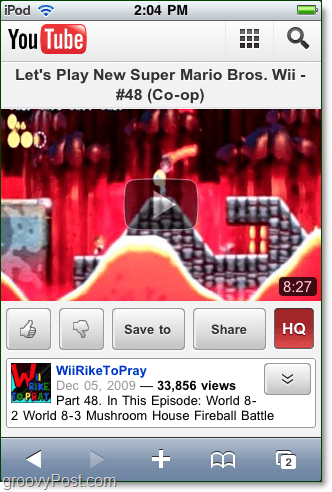 Now, thanks to the update, YouTube is now functional on any mobile phone browser that supports HTML5. Yup – that includes the iPhone and iPad too. 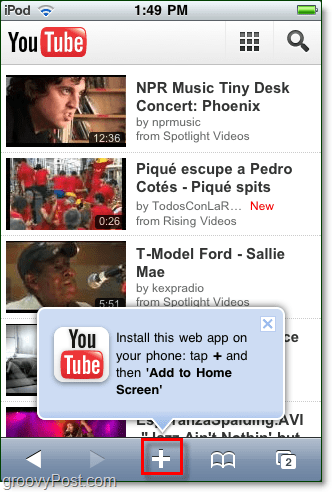 Replace Your YouTube Mobile app with a link to the HTML 5 site. The interface will differ depending on what phone you’re using, but most phones support browser shortcuts to some extent. 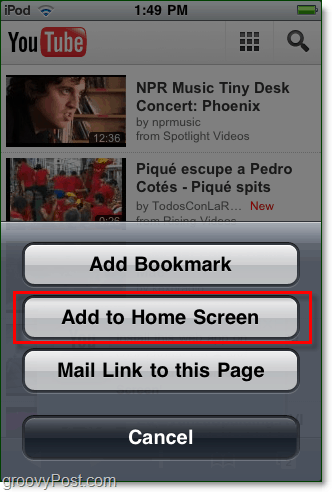 With the iPhone, there is nifty little plus button at the bottom of Safari that YouTube will even prompt you to Tap. 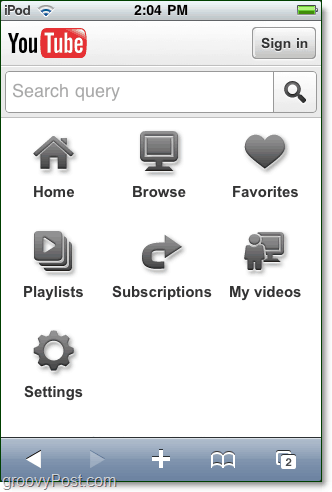 The home screen will now have a fancy YouTube icon that will directly open up the YouTube HTML5 site. This button is handy and can be moved around anywhere by just holding your finger over it for a few seconds and then dragging it to the location you desire. To get a feel of it I went through and took several screenshots highlighting all of these features, so enjoy the gallery and commentary below! 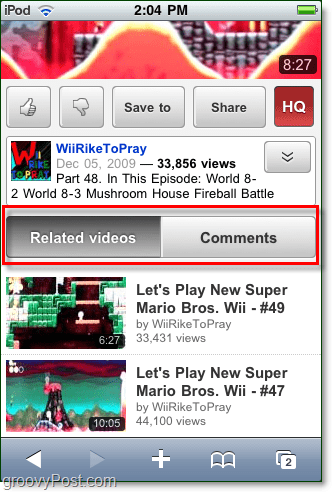 Related videos and comments are now organized by instant loading tabs within a video’s page. 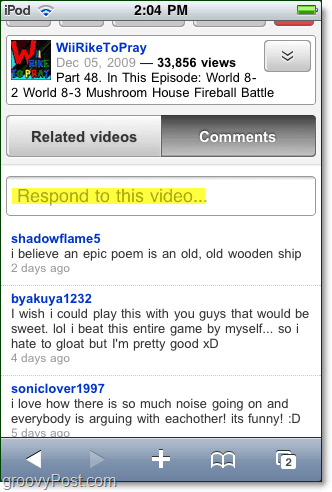 Unlike most YouTube “apps” the HTML5 site allows you to easily read comments, and it even lets you post and reply with your own. From the mobile site itself you can manage everything in regards to your YouTube account. The only thing you can’t do yet, is upload. 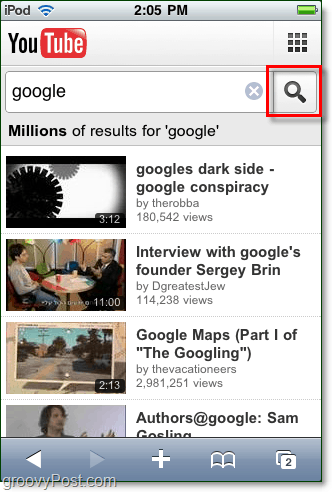 Search is built-in to the HTML5 site and it works quickly and effectively. Of course there are so many videos on YouTube you’ll have to be pretty specific about what you are looking for. At the bottom of every page there is the ability to sign out, as well as switch to Desktop mode. Of course the Desktop version is just like normal. And, if your device doesn’t support flash, the Desktop based videos will fail to play completely.